Get started on mortgage pre-approval and find out today. We are a Mortgage Lenders ready to lower your monthly payment and/or reduce your loan term. We’re the mortgage lenders who connect you to today’s mortgage rates. Mortgage Payment Calculator and Mortgage Amortization. Lenexa, KS mortgage lender with the lowest loan mortgage rates. We are one of the best mortgage lender to turn to and have been serving Lenexa, KS since 1996 with honesty, integrity, and expertise. Making us one of the best mortgage companies to choose for your mortgage loan. Buying your dream home is one of the most expensive purchases you’re bound to make. You need Lenexa, KS mortgage brokers that are dedicated to helping you every step of the way. That’s why it’s so important to get the right before you sign on the dotted line. As a trusted online lender, we take the time to carefully understand your personal needs. Our customer service approach has made us one of the highly respected and best Lenexa, KS mortgage lenders. Our goal is to provide the best mortgage rates available to save you every month. Through our unique application process, we provide a stress-free homebuying experience. Our Loan Officers are committed to making your experience simple and enjoyable. We’ve streamlined the loan process to ensure a smooth and stress-free process. An experienced, Loan Officer will guide you to the best loan product (loan types: conventional loans, FHA loans, VA Loans, USDA loans or Jumbo loans) and loan terms that best suits your financial situation. We offer numerous financial products and we are certain that we will have the perfect mortgage product for you. A few differences in interest rates or other terms can equate to tens of thousands of dollars either spent or saved. But with so many options available on the market, it’s hard to know where to start. 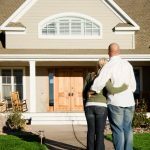 We know that obtaining the best mortgage rate on a fixed-rate or adjustable-rate mortgage is the leading decision when shopping for a mortgage loan. The second is obtaining the lowest closing costs for your credit score. We are experts on the process of purchasing a home and refinancing. We are the best mortgage lender specializing in helping first-time buyers with low down payments on FHA and Conventional loan products. Even if you have a lot of student loans, our mortgage products offer a lower rate, allow for a higher debt-to-income ratio, and low-down payments. Before shopping for a home, you need to obtain a mortgage pre-approval. When you submit an offer on a house, the addition of a pre-approval makes your offer much stronger as the seller knows that you are more likely to get approved for the mortgage. Once your offer is accepted, your interest rate can be locked. We offer an online mortgage calculator to help you with running payment scenarios. You can also download our mobile app with a mortgage calculator to run monthly payments on the go. It all comes down to our Loan Officers being passionate about what we do. We pride ourselves on personal service for the long-term. We surround ourselves with the best service providers in the industry. Creating a referable experience for homebuyers and real estate agent partners. In fact, a significant portion of our business is referrals, which we have been privileged to assist. If you are looking for one easy contact for all your mortgage services look no further. From the real estate agent, Title company and insurance agents, all with the highest and best level of customer service. We have you covered. We are a Five Star Award winning Lenexa, KS mortgage brokers. This represents fewer than 3 percent of mortgage brokers and mortgage companies. We love helping people, and it shows. Our production levels, our partnerships, and our client satisfaction ratings say it all. Let us help you make your dreams a reality. If you’re looking for the best Lenexa, KS mortgage lenders, give one of our Loan Officers a call at 913.642.8300. Let’s get started on your mortgage pre-approval today. Testimonial "Thanks for all your hard work and making things easy and smooth for us!"